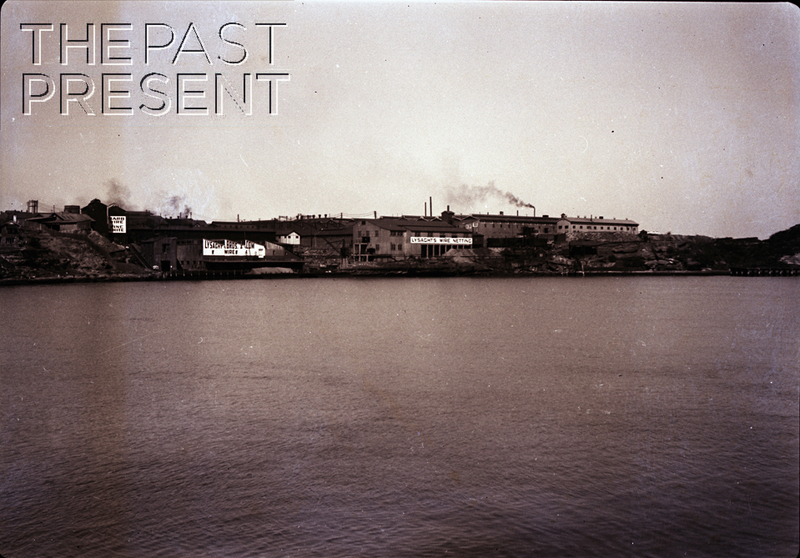 This week, The Past Present shares a beautiful, vintage image of one of the delights of Sydney, the Harbour City. Many Sydneysiders will agree that one of the wonderful aspects of a city complete with Harbour and river tributaries is the ferries which ply the waters, offering a special kind of public transport. The image above shows one of the old Lane Cove River ferries, part of a service which continues today. In the history of early European colonisation, the land along the Lane Cove River was widely used for farming and many orchards were established. Soon after, a thriving river trade was established, with boats used to transport goods to and produce from the properties established along the river. Some of the families, including the Jenkins who established the orchard Millwood in 1852 and whose kitchen still stands in Lane Cove National Park, even had their own steamers and wharves! As time went on, public services on the river were established, with 17 ferries operating on the Lane Cove and Parramatta Rivers between 1885 and 1920. After 1900, orcharding on the Lane Cove River went into sharp decline for a number of reasons, and river traffic no longer needed to carry produce to the Sydney markets. Yet the river remained an important mode of transport for the local residents, and visitors alike. In 1908 the local residents formed their own ferry company, the Upper Lane Cove Ferry Co, which carried passengers, along with mail, merchandise and even animals! The ferries operated between Killara (in an area known as Fidden’s Wharf) and Figtree. The company operated two boats until 1918, when the service ceased and the ferries were sold to the Swan Family. From this time on, the focus of the service was very much pleasure, with the boats carrying picnickers to the Swan family pleasure grounds, Fairyland. This week, The Past Present is back in Sydney, investigating an image which is not only beautiful, but also very intriguing. Picnicking has long been a very popular pastime for Sydneysiders and there were many picnic grounds which sprung up around Sydney. 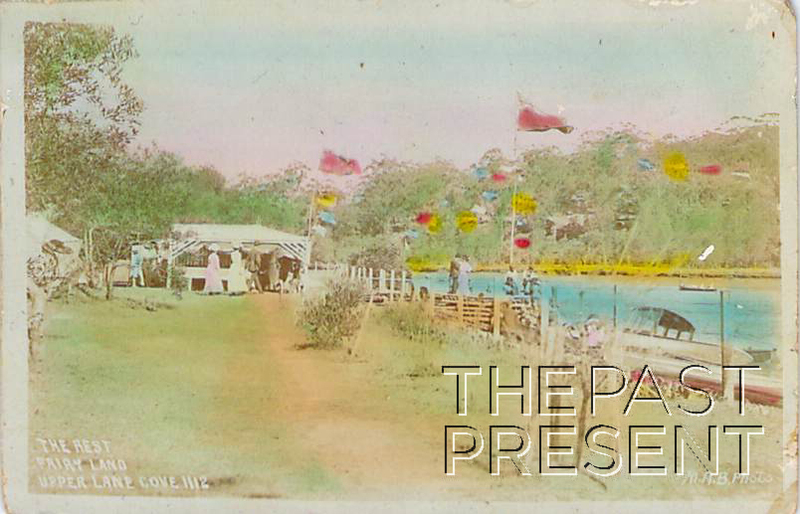 The image above captures a glimpse of the picnic grounds at the Parramatta River, as the caption states, but the exact location is something of a mystery. Parramatta itself is the site of Australia’s second oldest European settlement. Settlement began in early November 1788 when it became clear that more fertile land would need to be found to support the fledgeling colony. Soon farming was established in the area, and by the 1850s various other industrial processes had also moved in. In fact, by the 1850s it was actually Parramatta, not Sydney itself which was the main metropolis of NSW! This had a significant impact on the river itself, and pollution became a problem, but the natural beauty of the river continued to attract people none-the-less. 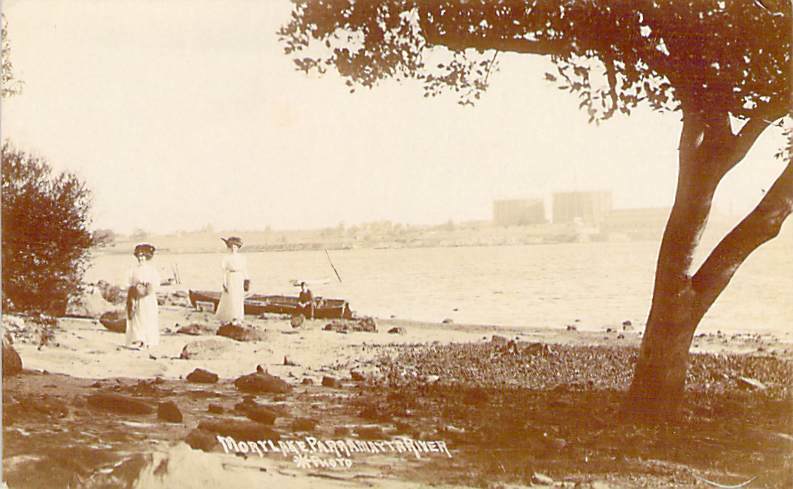 Picnicking was popular, and various picnic areas like the one shown in the image above began to be established along the shores of the river. 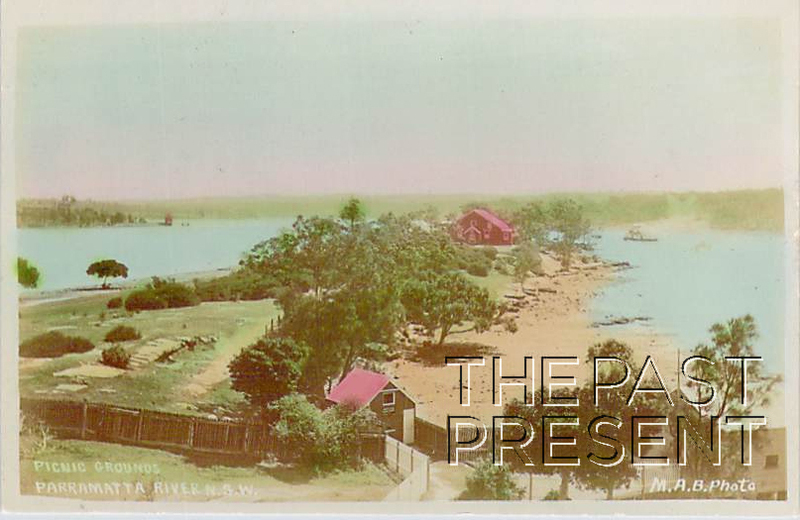 Some even included areas for swimming, such as Little Coogee (which was located in what is now Parramatta Park). On Fig Tree Bay (Abbotsford) east end. This week, with the year just about to get under way in earnest, and children and parents returning to school and work, The Past Present decided to take a glimpse into what working Sydney looked like in 1936. 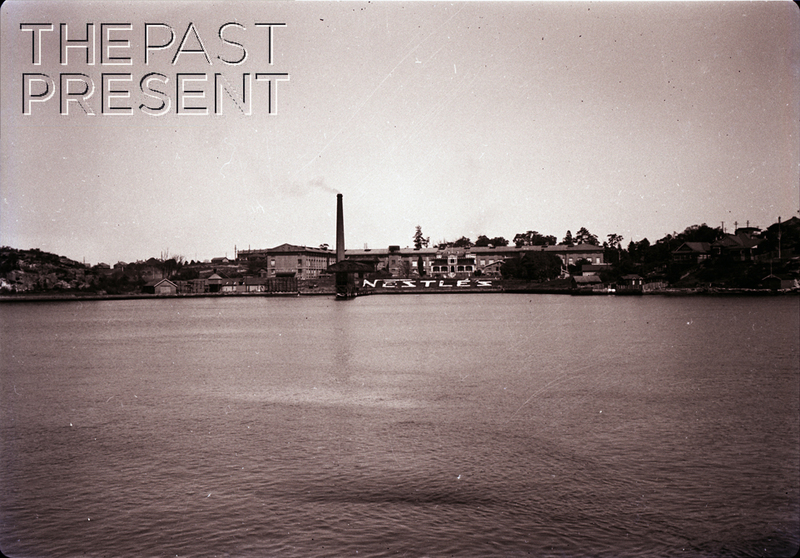 The photo above, from a 1936 photo by an unknown photographer shows the Lysaght Bros Wire Mill on the Parramatta River. Lysaght Bros and Co established the Sydney Wire Mill in 1884 on the Parramatta River. The rural, farming community of Australia created a huge demand for fencing, particularly for rabbit proof wire netting, and brothers Arthur and St John Lysaght, sons of the Bristol iron manufacturer and exporter John Lysaght, were soon producing not only these fencing materials, but other products. With their own wharves, Lysaght Bros and Co imported the wire feed from Germany, unloading the steamships in Sydney and then using barges to carry the materials up the Parramatta River to the factory. Wire making looms, at first powered by steam and then by electricity, transformed the raw feed into a variety of wire products. When BHP Steelworks opened in Newcastle in 1915 the mills changed to using Australian produced steel rods in their wire making and by 1925 the mills used a massive 35,000 tonnes of steel a year. During the 1930s, a time of depression and work shortages, the Lysaght Wire Mills provided jobs for over 1000 people. Holidays are the perfect time for families to spend a few days enjoying time together. This week, The Past Present decided to take a step back in time, to visit a place where families might have spent their day out in days gone by, Fairyland at Lane Cove. The area where Fairyland was built, on the Lane Cove River, belonged to the Swan family who purchased the land early in the 20th century and had soon established a market garden on the site. One of their popular crops was strawberries, which were purchased by people boating on the river and eventually, the Swan family began to offer afternoon teas to these passers by. By 1920, the family had recognised the potential for their land to become a popular, lucrative pleasure ground and set about transforming their market garden into what became known as Fairyland. The pleasure grounds were immensely popular with day trippers and it wasn’t long before rides (including the wonderfully named ‘razzle dazzle’), a wharf, dance hall, kiosk and playground had been built. The Swan family used fairytale characters throughout the area, painting them on buildings, and even making painted, wooden figures which were to be found in the trees – hence the name fairyland. Today the bush has mostly reclaimed the old pleasure grounds, but many remember happy outings on the banks of the Lane Cove River. With beautiful scenery and a waterway to navigate, people have made the trip to the Georges River for many years to enjoy a day in the beautiful natural surroundings. In the early 1900s, some enterprising locals began to run motor launches on the River to carry picnickers and day trippers to scenic spots, or simply allow them to enjoy a day on the River in comfort. Mr J. Latty was one of these men. He lived in Fairfield and in 1907, according to an article in The Cumberland Argus and Fruitgrowers Advocate (September 11), he had a motor launch built which could comfortably sit 20 picnickers. 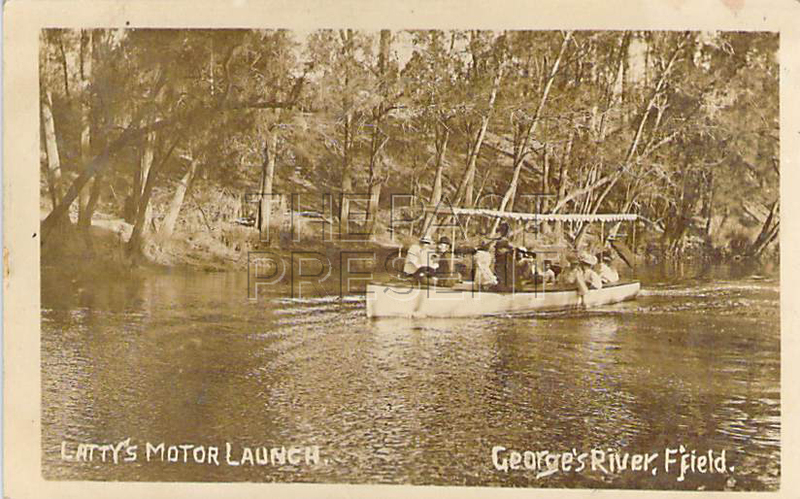 The launch plied the Georges River and was very popular. The postcard captures the Latty Motor Launch, full of picnickers enjoying a day out.